If the current Killzone 3 beta has you so excited about the upcoming shooter you're willing to spend anything to get the best Killzone experience possible, you're about to be very happy indeed. 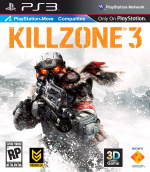 Sony has just announced the ultimate edition of Killzone 3, known as the Helghast Edition, which will retail with the game across North America on February 22nd 2011. Containing a replica Helghast helmet (not life size, sadly), a cloaking Helghast Marksman action figure, art book, bonus video content and so-called "Super Voucher" offering extra content including two maps from Killzone 2, 24 hours of double XP and full access to all multiplayer weapons and abilities for 24 hours. 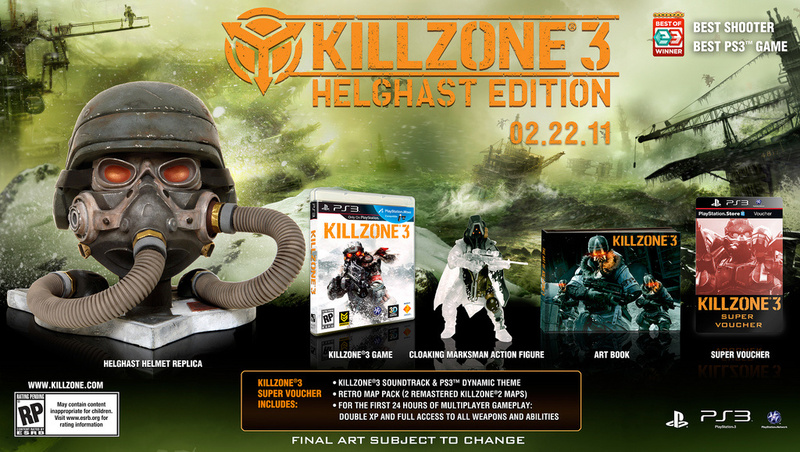 How much will this massive wad of Killzone goodness set you back come February? Just $129.99, friend. Will you be sticking down your money for the Helghast edition? If not, which of the other pre-order packs catches your eye? Aye, but what's it retailing for? $130? Not something I'd be willing to pay, frills or not. I can get a console for that much, or, you know, 4 or 5 other, perhaps even better games. @mickeymac But how many of those games would come with a helmet?! That's a standard price for these ultimate editions it seems. Wasn't Halo Reachs ultimate edition $150? @ James... Dead Space 2 comes with Dead Space Extraction for Move and a freaking Plasma Cutter that is scale to actual size! Way cooler than the helmet lol. My copy has been paid up on it as well. Oh we also already got Dead Space Ignition FREE on PSN as well for Preordering. Dead Space 2 Beta is still Awesome!